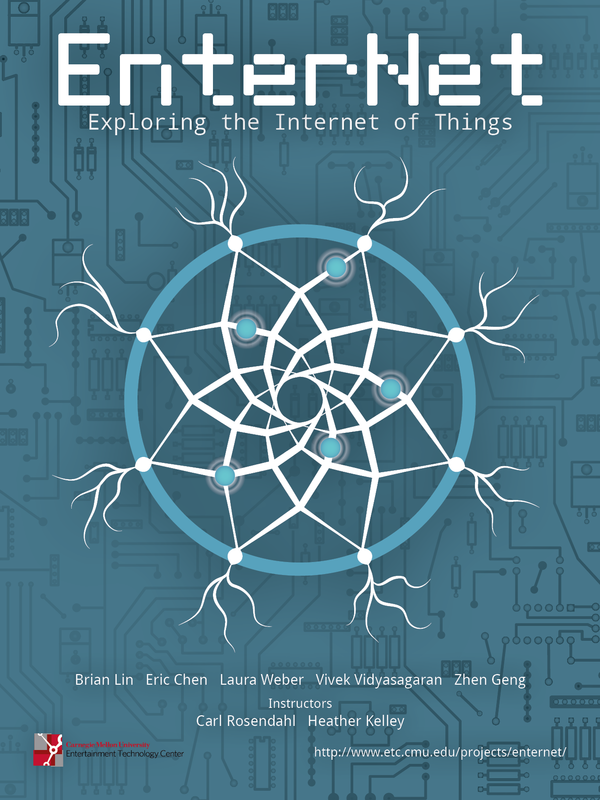 “EnterNet” is a project exploring the Internet of Things. 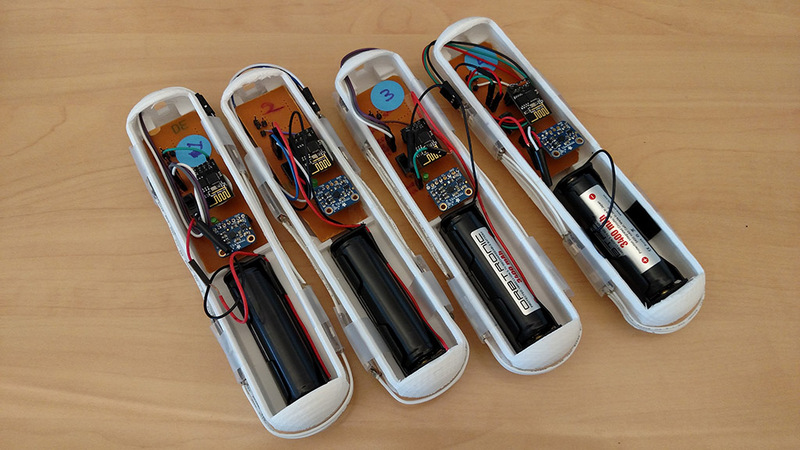 Our team experimented with small platforms such as Raspberry Pi and Arduino along with sensors and engaging outputs to create highly physical connected devices. 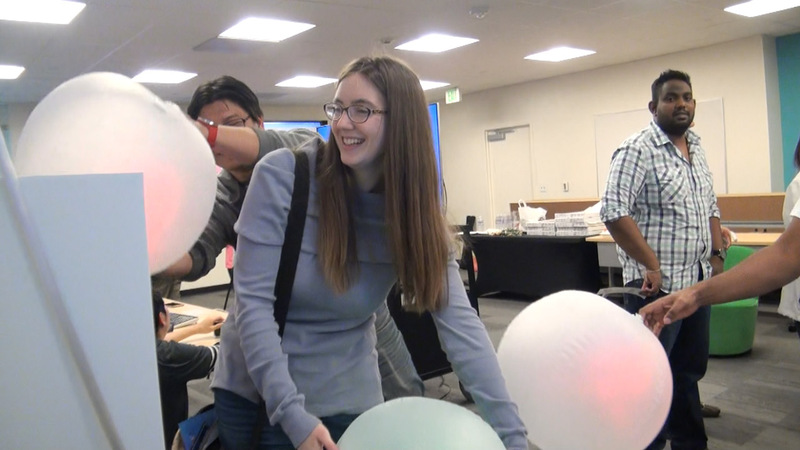 The goal of this project was to create a product that interacts with people and the environment in a unique way, while also taking advantage of mesh networks. 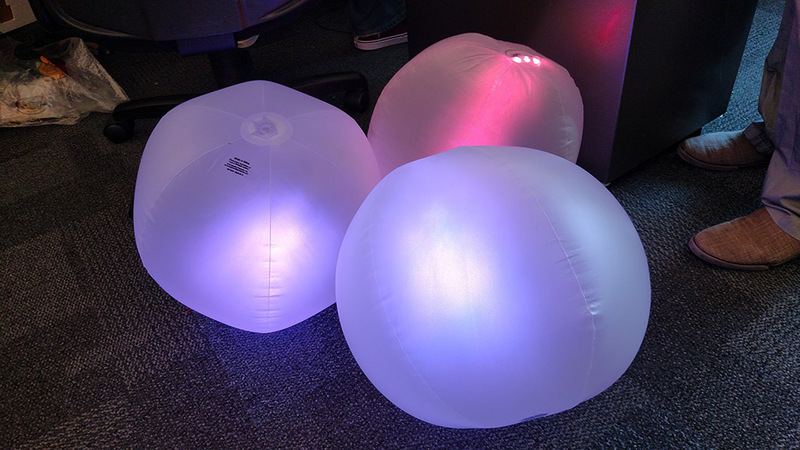 Our final product was a set of smart, interactive, networked beach balls! Created all project team branding materials. Animated previsualizations of potential product interactions. Modeled 3D printed shell to house electronics. Filmed and edited project promotional video and voice over. Managed project website and weekly development blog posts. Assisted managing team schedule and communications.